I’m an experienced Technical and Functional Consultant at C-Clear Partners. My mind-set is to deliver objectives at the proposed time, within the proposed budget. 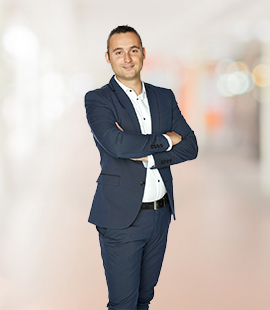 I’ve more than 7 years of experience in development and customer relationship management. I like working for C-Clear Partners because it is a young and dynamic company with vibrant internal relations and close communication with the customers. The never-ending possibilities to design business processes with CRM are both impressive as challenging to me. Seeing these implementations to be completed into final, and operational products gives me the motivation and satisfaction to take up the next challenge. Bram hasn't published any blogposts yet.